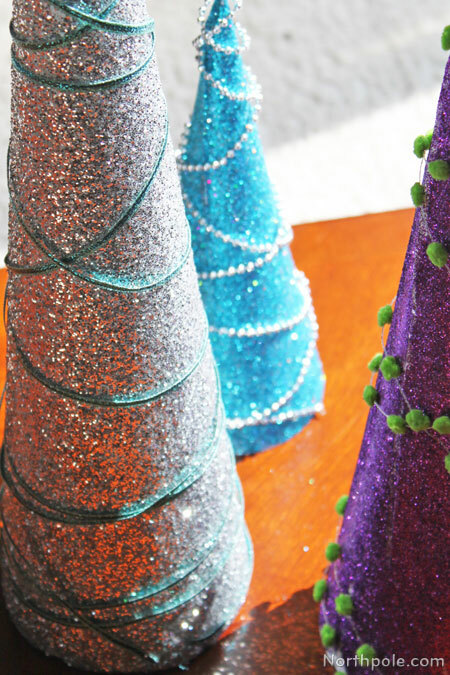 So easy and fun to make, these glittery trees are a festive centerpiece for Christmas—or any occasion, for that matter! 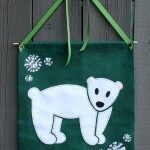 Try changing the colors of the glitter and the ribbon for a different look. In a small bowl, mix about 2 tablespoons glue with 2 tablespoons water. It does not have to be exactly 1 tablespoon as long as there are equal parts glue and water. Lay a sheet of newspaper on work surface. Place one cone on the newspaper. Using the foam brush, coat the cone with the glue/water mixture. 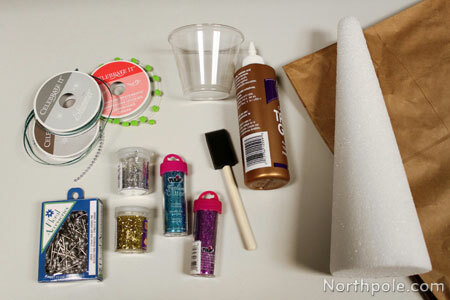 Sprinkle glitter over the cone until it is completely covered in glitter. Set cone aside and let dry. 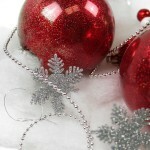 Fold newspaper in half so that excess glitter collects in the center. Return to container. 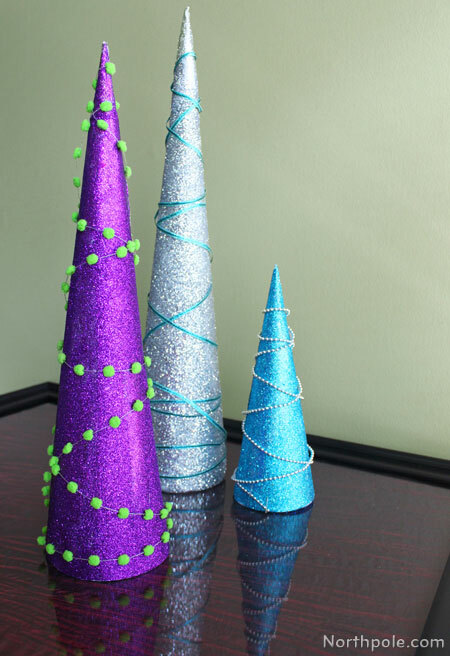 Repeat steps 3–6 for each cone, using a different color glitter for each one. Select ribbon for each cone. Using a straight pin, secure the ribbon near the base of the cone. Wrap the ribbon around the cone, working upward and back down. Cut ribbon and use another pin to secure in place. Arrange the cones on your table and enjoy!